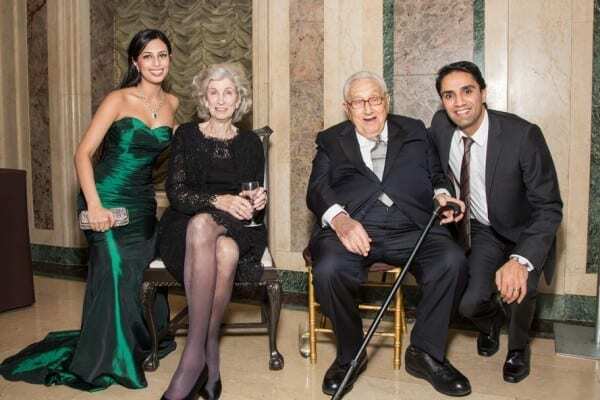 Dr. Kissinger has affected much of the history of the last half century through his work as an eminent scholar, foreign policy advisor and prolific author. Leaders from the global cardiovascular community paid tribute to his countless accomplishments, as they also celebrated the latest innovations in cardiovascular research. For over 25 years, the Cardiovascular Research Foundation has advanced the understanding and treatment of cardiovascular disease. CRF serves as a catalyst to bring together the extraordinary talents and leadership of the international cardiology community for a common purpose: to help doctors improve the survival and quality of life for people suffering from heart disease. This year’s Pulse Gala also honored the career and accomplishments of Dr. Roman W. DeSanctis, a preeminent leader in clinical cardiology for the past half century.